FinHACK 2018, the FinTech Hackathon organized by WHub and Societe Generale will be held between July 6-8th, 2018. It's time to arm yourself with knowledge in different aspects to get yourself ready for 36 hours of inspiration, innovation and interaction! Secure your spot for a workshop to get yourself FinHACK-ready! 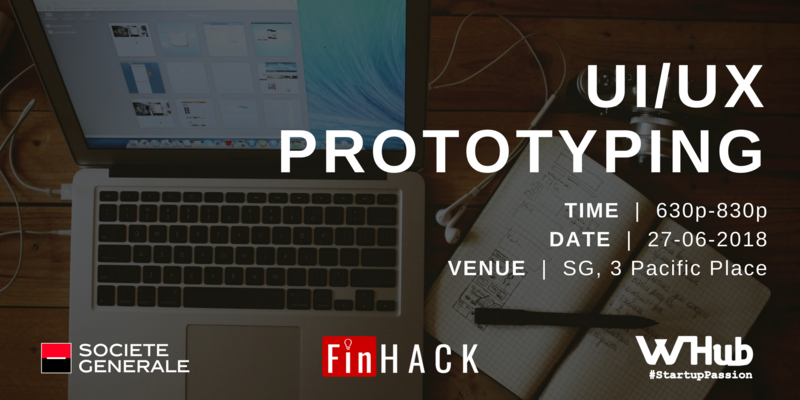 This workshop will be for UI/UX Prototyping without any code. * This workshop is open to the public, however, priority goes to FinHACK attendees.